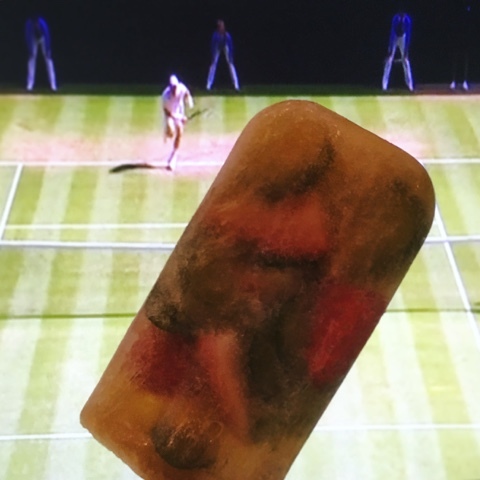 I actually made these a couple of weeks ago as a icy treat for Wimbledon. Alas the sun didn't really come out to play but I did manage to eat one whilst watching Andy Murray lift the trophy at SW19. 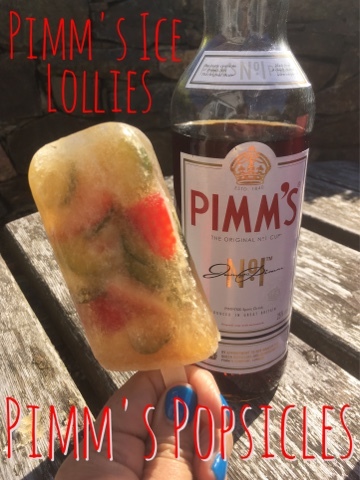 I wasn't too sure how the boozy element would work and if I'd end up with a slush rather than a lolly but by pure luck rather than good judgement I seem to have hit on a winning ratio. Make sure you fill your lolly molds up with plenty of cucumber, strawberries and mint as if you only use a few pieces they will all float to the top (which then becomes the bottom!) 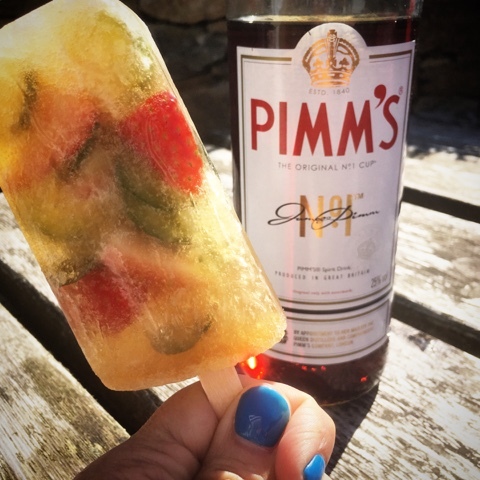 The more fruit and veg you use the more legitimately you can say that these icy lollies count as one of your 5 a day. I used the mini cucumbers which are just so cute (I get mine in Lidl) but you could use regular slices of cucumber and quarter them. Say cheers and stay cool! Fill up your lolly molds with the chopped strawberries, cucumber slices and mint leaves. 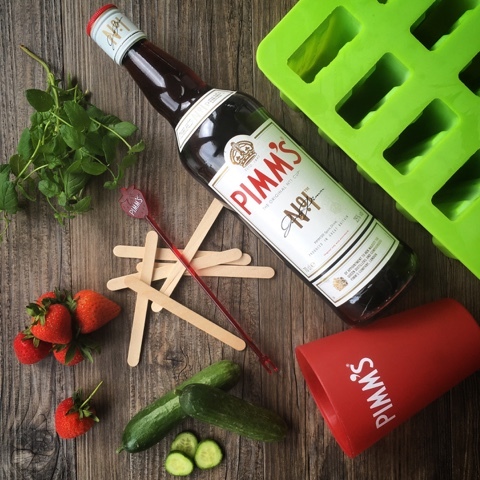 Pour over the Pimm's mixture and insert wooden lolly sticks/lids. 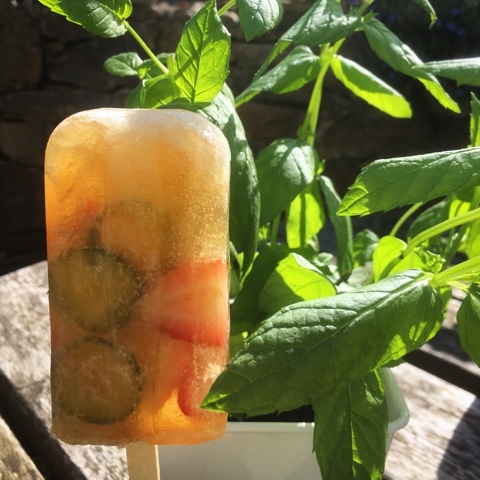 For more boozy icy treats check out The Hedgecombers Frozen Dark Rum Mojito Cocktail Lolly. 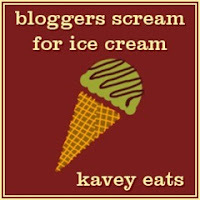 Grown up Shandy Lollies from Kavey Eats and a Beer Slushy from Pete Drinks. I'm sorry to say that it has definitely reverted to winter like temperatures in Inverness, so this will have to be bookmarked for another (sunnier) day! I'm really hoping that summer decides to stick around properly very soon! Genuinely wish I had a whole freezer fill of these right now! So hot! I've still got a couple of them in the freezer. How long will it take you to get here?! Genius!! I can't believe I've never thought of this before. These would have been so good in the heat today! I can't believe how crazy people have gone for them on Facebook. Lots of Pimm's fans. Oooh I could so do with one of those right now! Am far too hot and think a little booze and ice would probably make me less snappy haha!! Great idea!! A little booze and ice ALWAYS makes me less snappy!!! I used diet lemonade and all that fruit and veg must make them healthy. Yes?! These lollies of yours are just the best idea. Bookmarked for when it starts to get hot again! You need to make them NOW so they are ready and waiting in the freezer when the sun comes out again.